Whether you are staying on Grace Bay Beach, Leeward, Chalk Sound, Long Bay Hills, Sapodilla Bay or Turtle Tail, on Providenciales in the Turks and Caicos Islands, you will enjoy the freedom and convenience of your own rental car or scooter. Why? We have no traffic to speak of, and certainly no traffic jams. Our many paved roads will take you beyond the usual ‘must see’ spots, to those places the local population favours. Your own car rental or scooter rental leaves you at liberty to explore as much of the island as you wish, comfortably, on your own schedule. We have no public transportation system, and the rental rates are very reasonable, especially when you look at families going to and from multiple destinations during a vacation. Providenciales has many reputable car and scooter rental agencies and most are situated at or near the Providenciales International Airport. Free pick up and delivery and unlimited mileage are standard. Most car rental agencies also offer child seats. Whether you are looking for an economy car, luxury car, a 4-wheel drive jeep, a 12 person van, an SUV for the family reunion, a sporty convertible, or a brightly painted scooter, you’ll find it here. There are many cute little cars available too, and they carry four people, coolers and bags. North Caicos and Grand Turk also have car rental companies, so don’t limit yourself to one island during your visit. But be sure to book in advance, especially during the high season from December 15 to mid-April, to ensure you get the rental vehicle you want. Unlike in the early days of car rental services, we have many gas stations today, so you won’t get caught short no matter where you drive. Anyone over 18 years old, holding a valid driving license from home can rent a scooter. Depending on the rental agency, you must be 25 in order to rent an automobile. Rental insurance is advised. There is a $15 government tax on each rental contract. Expect to pay approximately $40 and up, per day for your vehicle. Remember to drive on the LEFT and this is no place to go in a hurry. Enjoy the sights. The maximum speed is 40 MPH (64 kmh), 20 MPH (32 kmh) through the settlements. Enjoy the freedom of your rental vehicle, and do explore our beautiful islands. Arrange an Alamo TCI vehicle rental in advance and pick up your car, and complete the contract, at the airport on the day you arrive. Drive happy in paradise. Now offering two locations. At Providenciales International Airport and in Grace Bay across from Neptune Plaza. Free pick-up and delivery. Unlimited free mileage. For long and short term rentals. Corporate rates. All major credit cards and AVIS charge card accepted. Explore Provo with AVIS! Get out of the ordinary! Quality air-conditioned Suzuki vehicles. Free pick-up and drop-off. Best rates in town. Outstanding service. Daily, weekly and monthly rates. Major credit cards accepted. Conveniently located 5 minutes from the Providenciales airport. Local owners have created an upbeat office filled with people who value your business. Caicos Wheels Car/Scooter/Bicycle Rentals is extremely dependable and they offer the most discounted rates on the island. Fuel efficient cars. The Fun Friendly People™ of Grace Bay Car Rentals are looking forward to making it easy for you to see the Island of Providenciales and enjoy the many beaches, restaurants and shopping the island has to offer. 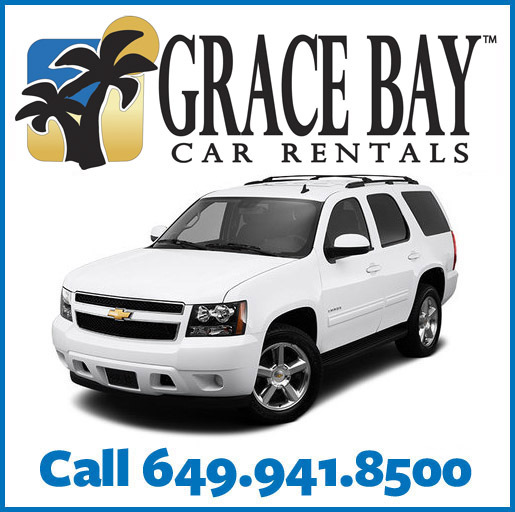 Our internationally recognized and award winning service combined with the best value for money deals in the country make Grace Bay Car Rentals an easy choice. We have the only car rental facility at the international airport and will greet you with your vehicle and a personal concierge upon your arrival. Return the vehicle to the airport free of charge. We also offer complimentary resort and villa delivery, cell phones, WiFi Hot Spots, free child seats, and much more. No Shuttling! No Line-Ups! No Hassle! 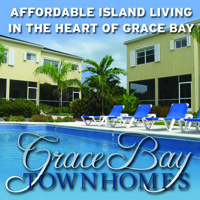 Grace Bay Car Rentals, the fastest way to the beach! K K & Ts offer world class, timely, round-the-clock services with the latest make and model vehicles in the Turks and Caicos Islands. Our well trained and professional staff members are ready to meet your every need in choosing the best vehicle for your stay. Explore the beautiful by nature island of Providenciales - starting as low as $28.99 a day up to $159.00 for a luxury SUV. Guided Vespa Scooter tours, scooter and energy efficient autos for rental and sales. Get off the beaten path on a one or two person scooter. Get More. Pay Less. Book your rental and get the best rates on the island. Convenient airport road location. Unbeatable value. Visit Payless to reserve today. Compact to full size cars, SUVs, Island Cruisers and Suzuki Jeep Rentals. Daily and weekly rates. Free pick-up, delivery and unlimited mileage. 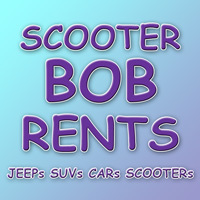 Contact details for Rent A Buggy Ltd.
Jeeps, cars, vans, SUVs, scooters and bicycles. Located at Turtle Cove Marina.